So I’m not a huge poetry buff, but I remember hearing Toni Morrison quote this poem on the Oprah show years ago. She was talking about how she coped with the loss of her son and for some reason it really resonated with me. Particularly the line that our children come “through” us, not from us. Wow. When you do all the work and worrying of carrying and caring for a child, that is a tough concept to wrap your head around. 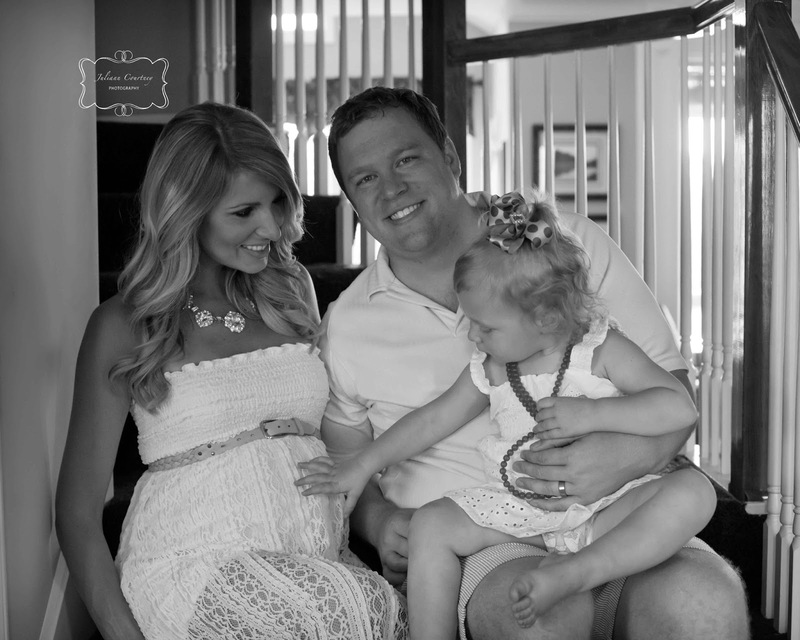 When I was pregnant with my daughter Avery everything seemed like a whirlwind. I was still the reigning Mrs. Kansas so I had public obligations in addition to working full time. After she was born, I remember lying awake in my bedroom in the early hours of the morning listening to her breathe and I told my husband I felt like someone had put up a giant clock in the front of my brain that was counting down the hours until she would grow up and leave us. I felt a sense of dread. Even though I beam with pride after every step she takes toward independence, the past 24 months have flown by in the blink of an eye. This time I am a little older and wiser and I realize how much I will miss feeling the baby move in my belly after she’s born. I realize I may never be pregnant again and I need to appreciate each step along the way. We were referred to photographer Juliann Courtney through a friend. I sent her a Pinterest board of pictures I like (found here) which is a tactic I highly recommend before a photo shoot and Juliann totally surpassed my expecations, capturing the elegant, natural portraits I had in mind. Avery was a little tornado running around the house that day and Juliann managed to document every sweet, peaceful moment despite her little moving target!